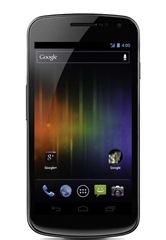 The Samsung Galaxy Nexus was jointly launched by Google and Samsung, at an event in Hong Kong and as the successor to the Samsung manufactured Google Nexus S and the HTC made, Google Nexus One. The new Google mobile is the first to carry the mobile phone creator’s name, which will also be the first device to run from an operating system that offers the best of the tablet ‘Honeycomb’ platform and the Android handset OS. This handset runs from a display technology that Samsung is well-known for deploying, with a Super AMOLED screen – only on a large 4.65-inch display, with a 720p HD resolution. Samsung’s Galaxy Nexus also has a dual-core 1.2GHz processor with 1GB of RAM, a 5 megapixel camera that’s capable of full 1080p video capture, along with NFC and HSPA+ 21Mbps downloading abilities. The model Clove is selling contains 16GB of on-board storage, where a blog post by the reseller confirms the 32GB version won’t be arriving in the UK.